This week's classic Christmas movies include Miracle on 34th Street (1947) starring Natalie Wood and Edmund Gwenn. There's a lot of holiday offerings on TV this week, so pop the popcorn and fire up the DVR for more classic movies, Christmas cartoons, and variety shows. Just a note: The highlighted titles have links to full-length articles. 'Twas the Night Before Christmas, 9 a.m. on ABC Family: This 1974 cartoon from Arthur Rankin and Jules Bass tells the story of a small town that has been taken off of Santa's Christmas list. The Christmas Sonny and Cher Comedy Hour, 9 p.m. on getTV: The whole Bono family gets into the act in this holiday special, which features William Conrad reciting, "Yes Virginia, There Is a Santa Claus." This show will be repeated at 2 p.m. Friday and 10 a.m. Sunday. The Merv Griffin Show Christmas Special, 10 p.m. on getTV: This 1965 show features singer Barbara McNair, TV mom Florence Henderson, and Jimmy Boyd singing "I Saw Mommy Kissing Santa Claus." This show will be repeated at 3 p.m. Friday and 11 a.m. Sunday. Christmas With the King Family, 8 p.m. on getTV: The King Sisters were a popular sixties quartet, and this 1967 holiday special features the sisters and their families singing standards like "White Christmas" and "I'll Be Home for Christmas." This show will be repeated at 4 p.m. Friday and 6 a.m. and 5 p.m. Sunday. Bing Crosby and the Sounds of Christmas, 9 p.m. on getTV: This 1971 special features appearances from the Mitchell Boys Choir, Robert Goulet, and the Crosby family. This show will be repeated at 5 p.m. Friday and 7 a.m. and 6 p.m. Sunday. The Best of Andy Williams Christmas Shows, 10 p.m. on getTV: This compilation includes the best moments from Williams' shows from 1962 through 1973. This show will be repeated at 6 p.m. Friday and 8 a.m. and 4 p.m. Sunday. Babes in Toyland, 10 p.m. on TCM: This Walt Disney Christmas musical is rarely seen these days, but Leonard Maltin and TCM are bringing it out of the Disney vault for the holidays. The movie stars Ray Bolger, Tommy Sands, and Annette Funicello in a tale that takes place in a land of nursery rhymes. 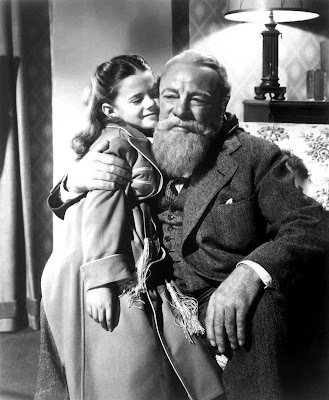 Miracle on 34th Street, 7 p.m. on AMC: AMC is airing the original 1947 film about a young girl's (Natalie Wood) encounter with the real Kris Kringle (Edmund Gwenn) after her mother (Maureen O'Hara hires him to play Santa Claus in the Macy's Thanksgiving Day Parade. This movie will be repeated at 2:15 p.m. Saturday. A Christmas Carol, 9:15 p.m. on AMC: This 1984 adaptation of Charles Dickens' classic tale features George C. Scott as the miserly Ebenezer Scrooge. He is surrounded by a great cast of character actors, including Frank Finlay as the ghost of Jacob Marley and Roger Rees as Scrooge's nephew, Fred. This movie will be repeated at 4:30 p.m. Saturday. White Christmas, 11:45 p.m. on AMC: This classic musical about a struggling inn in Vermont features Bing Crosby, Danny Kaye, Rosemary Clooney, and Vera-Ellen performing Irving Berlin tunes like "Count Your Blessings (Instead of Sheep)" and the title song. This movie will be repeated at 9 a.m. Saturday. 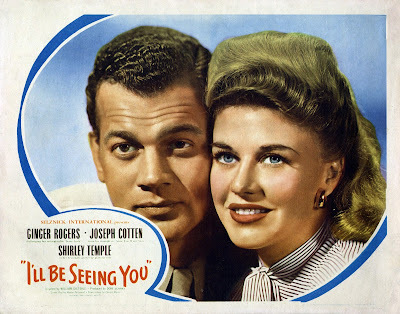 I'll Be Seeing You, 8 p.m. on TCM: TCM kicks off it's Friday night of Christmas movies with this hard to find drama starring Joseph Cotten and Ginger Rogers as two troubled souls in wartime America who fall in love during the holiday season. Christmas in Connecticut, 9:30 p.m. on TCM: Barbara Stanwyck plays a homemaking columnist for a ladies' magazine who must bluff her way through a Christmas weekend in the country to please her demanding editor (Sydney Greenstreet). This movie has become a real holiday favorite in recent years thanks to frequent showings on TCM. Remember the Night, 11:30 p.m. on TCM: This delightful comedy is the first onscreen pairing of Fred MacMurray and Barbara Stanwyck. He plays an assistant D.A. who falls in love with a shoplifter during the Christmas season and takes her home to meet his family. Holiday Affair, 1:15 a.m. on TCM: This 1949 romantic comedy features Janet Leigh as a young woman who must choose between boring businessman Wendell Corey and charismatic ne'er do well Robert Mitchum (It really isn't much of a contest, is it?). Bundle of Joy, 3 a.m. on TCM: This 1956 musical starring then married couple Eddie Fisher and Debbie Reynolds is a remake of Bachelor Mother (1939). Reynolds plays a shopgirl who finds a baby that everyone, including her boss (Fisher), assumes is hers. Love Finds Andy Hardy, 4:45 a.m. on TCM: America's favorite teenager (Mickey Rooney) has his usual problems during the holiday season in this 1938 movie. He needs a date to the Christmas Eve dance, and $8 to purchase a used car (those were the days). This delightful film features all the Hardy regulars plus Ann Rutherford, Lana Turner, and Judy Garland. The Shop Around the Corner, 8 p.m. on TCM: This week's TCM Essentials pick is one of the great old Hollywood films. It centers around two bickering employees (James Stewart and Margaret Sullavan) at a Budapest notions shop who are carrying on a secret correspondence. Scrooge, 8 a.m. on TCM: This 1970 musical adaptation of A Christmas Carol features Albert Finney as Scrooge and legendary actors Dame Edith Evans and Kenneth More as the ghosts who haunt him on one fateful Christmas Eve. It Happened on 5th Avenue, 10 a.m. on TCM: This 1947 B-movie about a homeless bum (Victor Moore) and a World War II veteran (Don DeFore) who stay in a Manhattan mansion while it's owner is in the South was largely forgotten until it became a YouTube sensation in the 2000's and then began airing on cable TV. Meet Me in St. Louis, noon on TCM: This Vincente Minnelli-directed film about a middle-class family's life in turn of the century St. Louis is one of greatest of MGM's musicals. Judy Garland introduced the holiday standard, "Have Yourself a Merry Little Christmas" in this movie. Come to the Stable, 3:45 p.m. on TCM: This 1949 drama stars Loretta Young and Celeste Holm as two French nuns who arrive in the small New England town of Bethlehem with a mission to build a children's hospital. The Andy Williams Christmas Show, noon on getTV: This 1966 holiday special is a family affair with Williams crooning Christmas standards like "Carol of the Bells" and "It's the Most Wonderful Time of the Year" with his then wife Claudine Longet and the Williams Brothers. The Danny Kaye Show, 1 p.m on getTV: This 1966 Christmas show features special appearances by Peggy Lee and Wayne Newton, and Kaye show regulars Joyce Van Patten and Harvey Korman. The Perry Como Christmas Show, 2 p.m. on getTV: This 1974 show features special guests The Carpenters, figure skater Peggy Fleming, and comedian Rich Little. Mitzi Gaynor Christmas Show, 3 p.m. on getTV: This 1967 holiday special features song-and-dance lady Gaynor performing live at Kraft Music Hall in New York City with special guests Ed McMahon, Cyril Ritchard, and Tony Tanner. Ben-Hur: A Tale of the Christ, midnight on TCM: TCM is devoting its silent Sunday night to this religious classic about a Jewish prince whose life is changed by his encounters with Christ. The 1959 sound picture is better known today, but the silent version is still a wonderful movie with dazzling special effects and a thrilling performance by Francis X. Bushman as the villainous Messala. My Night at Maud's, 2:30 a.m. on TCM: This French film from auteur Eric Rohmer is centered around two friends, one a Catholic (Jean-Louis Trintigant), the other an atheist (Antoine Vitez), who meet at the house of a divorced woman (Francoise Fabian) on Christmas Eve. Here's Scrooge to take us out. See you next week!